Happy Thanksgiving to my American friends though I dare say most are not feeling very thankful these days. Is it any consolation that it probably won't be as bad as we expect. A special greeting to my biggest fan in the states, Alice Brock, who will probably be the subject of more interviews and articles this week because she's been the poster-gal for Thanksgiving ever since Arlo put out "Alice's Restaurant." There are no gigs coming up in December but I had to get out this Blainletter because there's so much else to write about starting with all the great musicians who passed away this month - Leonard, Leon, Mose Allison and now Sharon Jones. 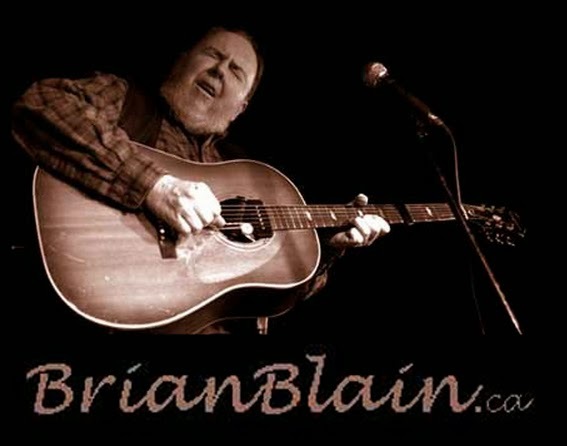 Meanwhile, a local favourite, Brian Cober, is having a serious health crisis and a tribute concert was held last Friday at Grossman's, where he's had an 11-year run of his weekly jam. Most of the Grossman's regulars were joined by some top notch players including Daniel Lanois who rode in on a motorcycle did a couple of tunes on Mike Daley's Telecaster, playing it so hard that someone said there was blood on the floor. I wasn't there but I watched it on Facebook Live. It was not as smooth as watching something on TV but it was quite manageable. It was amazing watching Lanois getting all these out-of-this-world sounds from a borrowed guitar and no fancy pedals and gadgetry. It's all in the fingers, like they say. My fingers were practically bleeding the last couple of times I played (I did a couple of Mondays at Wolf Like Me but alas, they've decided to get some big screen TVs and turn it into a sports bar. Another one bites the dust - everybody that played there loved it! Just down the road on College, it seems Fat City Blues is back on their feet. It's a terrific room - I may have been a bit premature when I announced their demise in the MapleBlues, but its was just a "hiatus". Get out there and encourage them (and any other live music venues that are still standing). Nowadays everybody's quite curious about Toronto's glory days as a music city, and it still is a great music city - just not the kind of music I'm playing. But I am still having fun making music on the old laptop and we're going to get that out one of these days. I have a new collaborator that I got together with while Joel is in the States and I can hardly wait to see what kind of sounds we can put out when it's the three of us. Stand by for Stringbuster. Speaking of the glory days, I'm sitting on a big box of ten-inch reels of recordings from the early days of Ronnie Hawkins and the Hawks. And I think some the Hawks without Ronnie. It was Paul Benedict who gave them to me - he was on the road with Ronnie for ten years. He passed away this year and we had a nice musical celebration of his life out in Stratford a few months back. Here's a little treasure that was restored from the community television (cable) station where I did a weekly show for a while. They put up one show with me interviewing this old couple and here's one of me playing with my "one-man-band" rig featuring the sought-after Roland TB-303 Bassline.